Home » Celebrities » Blac Chyna SLAMS Exes Rob Kardashian & Tyga Amid Child Support Drama! Blac Chyna sounds off on exes Rob Kardashian and Tyga amid her legal drama. As we reported in November 2018, according to The Blast, the KUWTK brother “can no longer afford” to pay the model $20K a month in child support. In a now-deleted Instagram Live post, Dream Kardashian‘s mom — born Angela White — claimed she never asked the reality TV star OR the rapper for payment. Overall, the Lashed by Chyna founder said she is “living her best f**king life,” and that neither her exes nor her mom — Tokyo Toni — are responsible for her success. As we reported earlier this month, Toni told TMZ that she thought Rob should get custody of two-year-old Dream. Tyga and Chyna — who split in August 2004 — share six-year-old son King Cairo. Chyna and Kardashian called it quits in April 2017. Blac Chyna Is Full Of It! 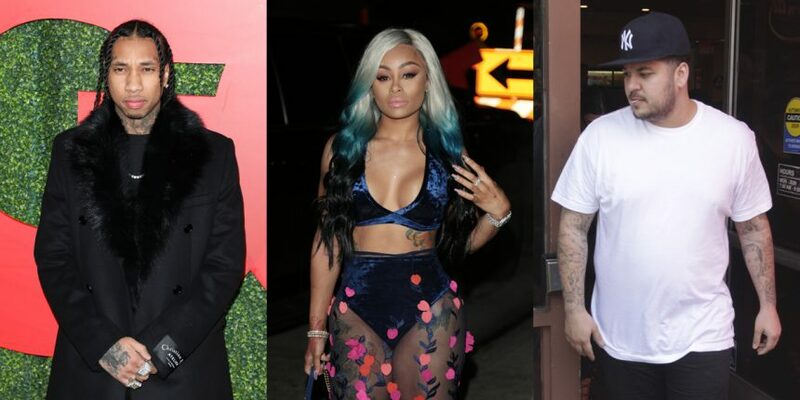 02/12/2019 Celebrities Comments Off on Blac Chyna SLAMS Exes Rob Kardashian & Tyga Amid Child Support Drama!